Sporty style and comfort–in one cool garment. 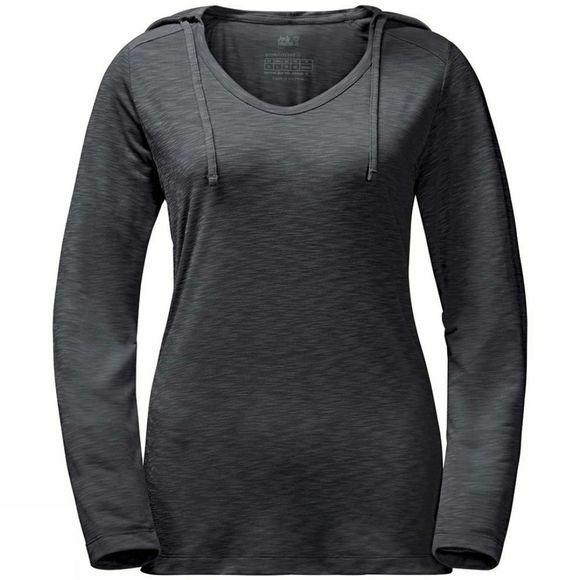 The Womens Travel Hoody Long Sleeve Top from Jack Wolfskin is ideal for cooler spring evenings or chilly autumn days at home. The light jersey fabric is breathable, minimises unpleasant odours and is supremely comfortable to wear. The sporty hoody design will give your day an extra little boost.